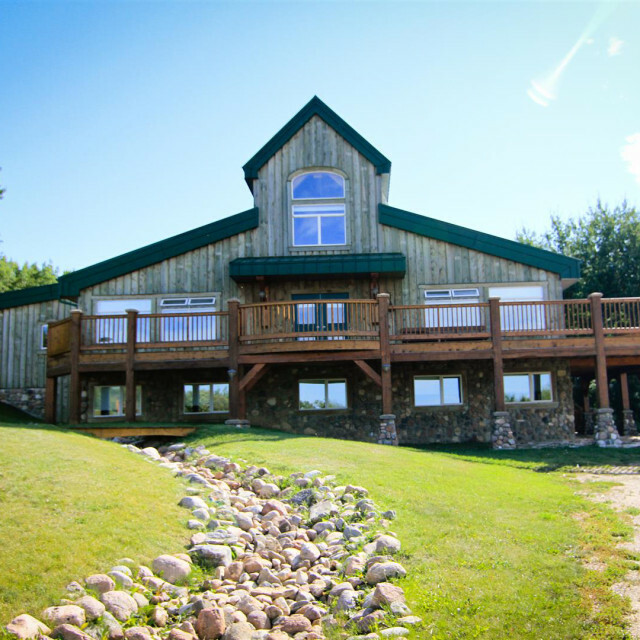 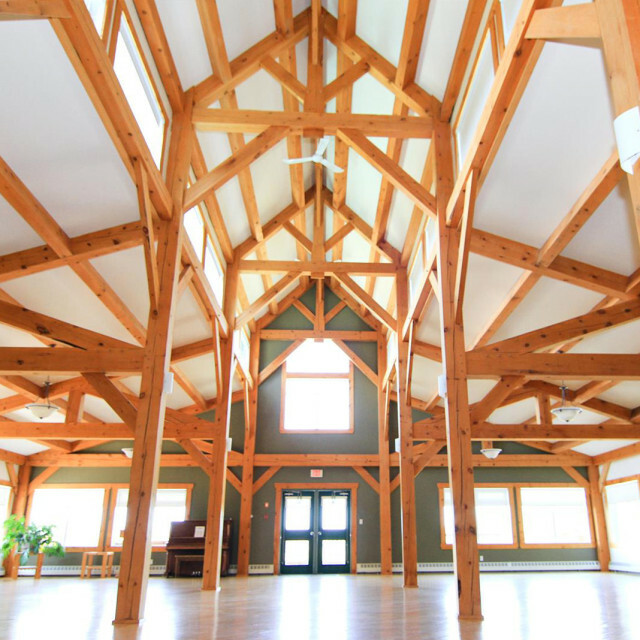 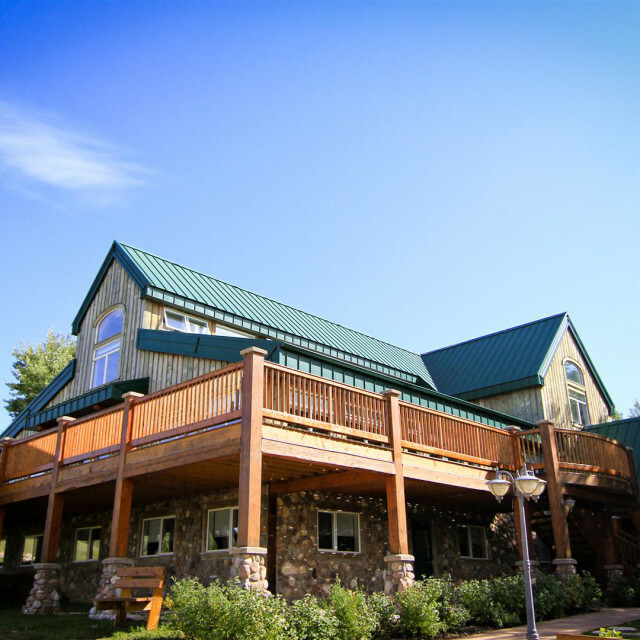 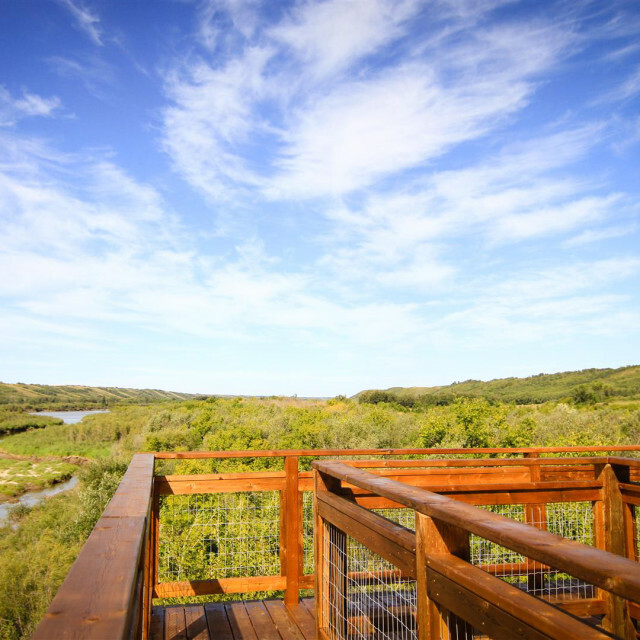 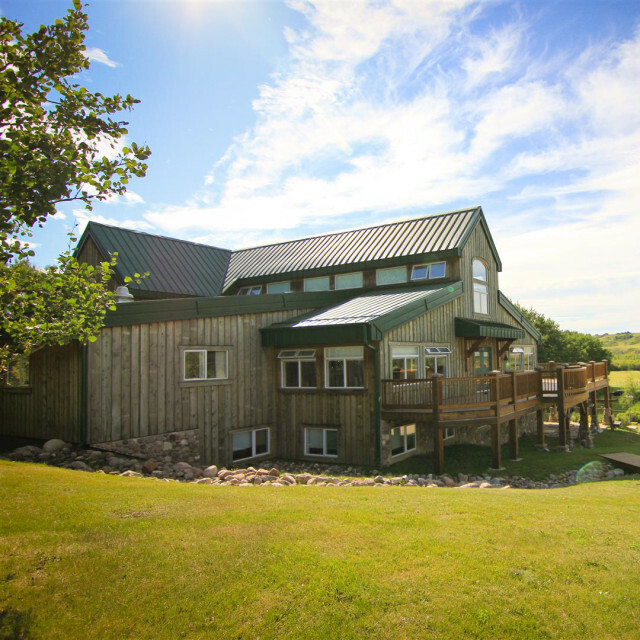 The Shekinah Retreat Centre is a truly unique structure on the slopes of the North Saskatchewan River valley. 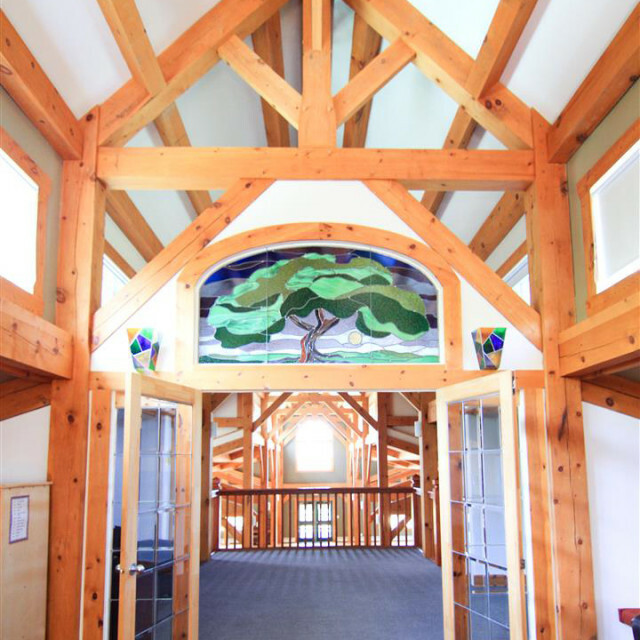 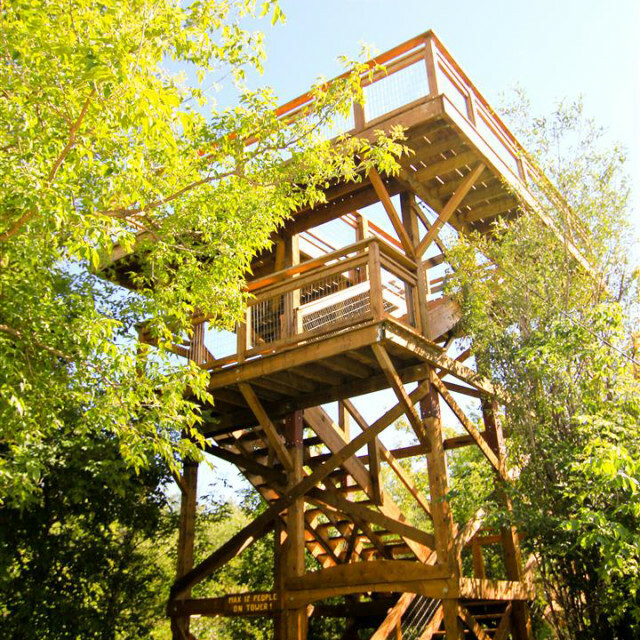 The simple, heavy timber design of the Retreat Centre is duplicated in smaller structures scattered throughout Shekinah, including viewing platforms, shelters, and other structures that blend into the natural setting. 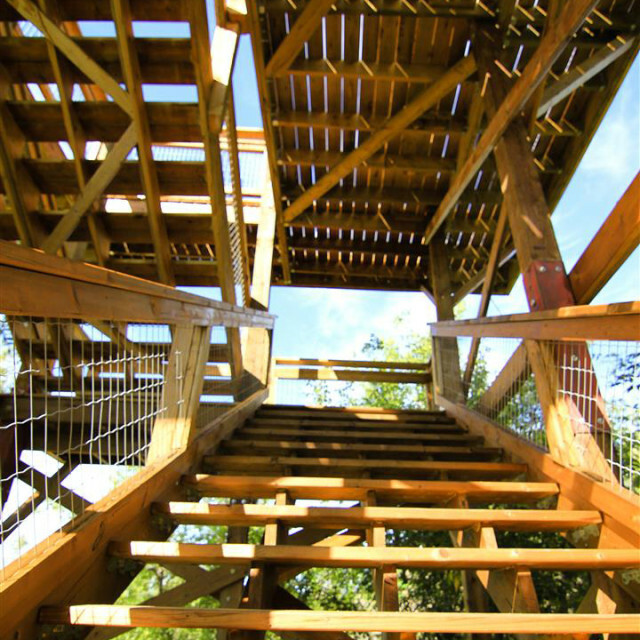 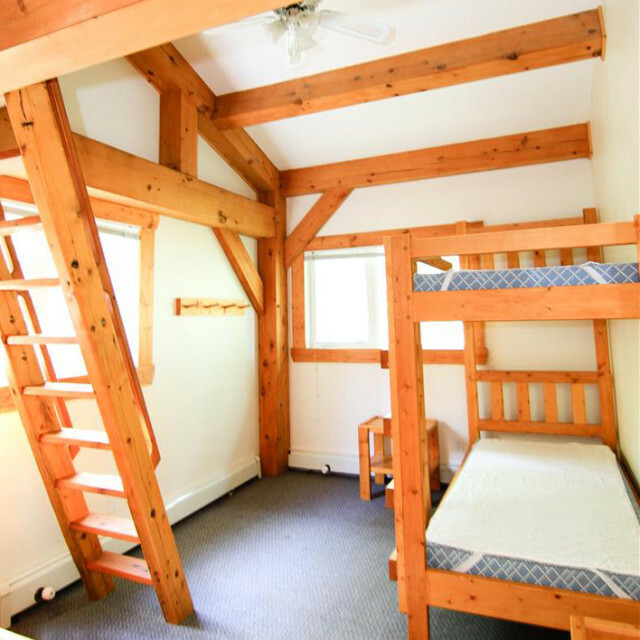 The main structure is designed to make use of recycled lumber from the grain elevators that are rapidly disappearing from the landscape. 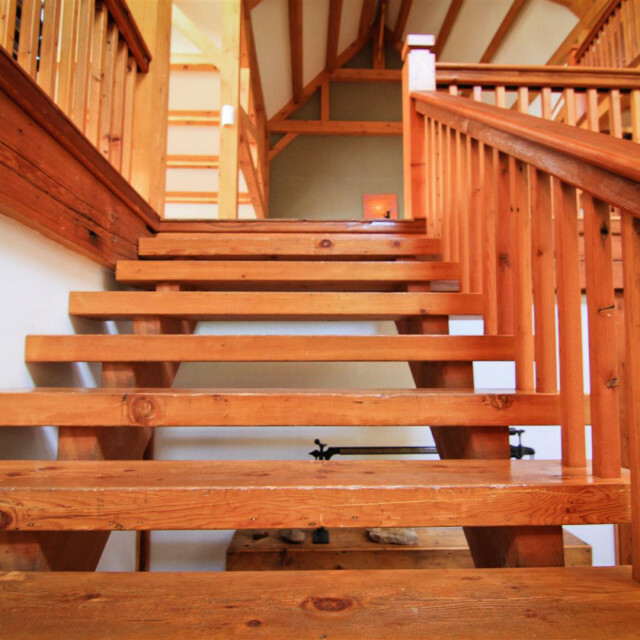 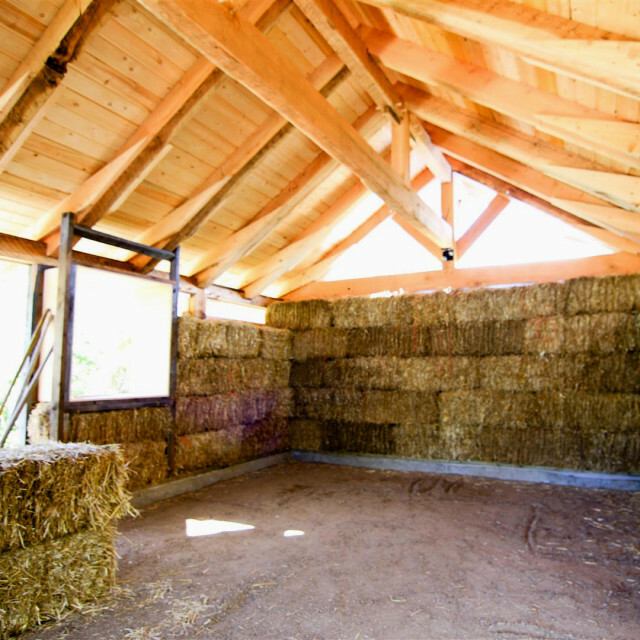 The crossbracing in the elevator, worn to a beautiful texture over many years by thousands of bushels of grain, is utilized as accent materials and for furniture construction. 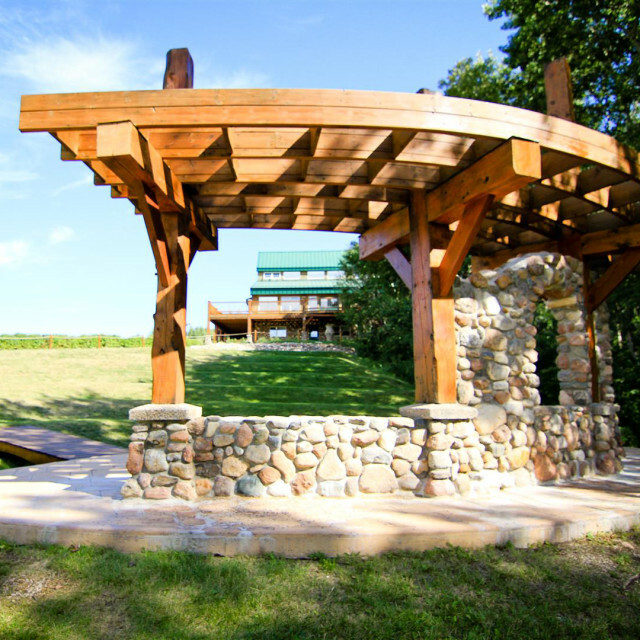 The exterior lower level is faced with local fieldstone gathered from farmers’ fields—a useful and creative use of stone piles.